Did CPS lie about its social grant profits? 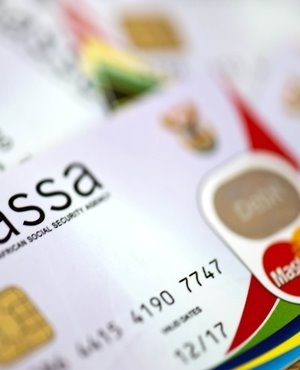 Cape Town - Net1 subsidiary Cash Paymaster Services (CPS) may participate in the South African Social Security Agency’s (SASSA's) future tender process, the Constitutional Court has ruled. According to a notice issued to shareholders on Monday, the Constitutional Court made the ruling on Friday. CPS filed an application at the Constitutional Court on February 6 2018 to request a declaration that it is not prohibited from participating in the tender. The ruling made on Friday February 23 clarified that CPS’s eligibility to take part in future tender processes was not in issue in the judgment handed down on March 17 2017. “That judgment did not render CPS ineligible to participate in SASSA's tender process,” the notice read. Last year the Constitutional Court ruled that the contract between CPS and SASSA was illegal and invalid. CPS was also ordered to continue paying grants until another entity was found to distribute the payments, News24 reported. The Constitutional Court has scheduled a hearing on March 6 2018 to consider SASSA’s application for a six-month extension of its contract with CPS. This contract expires on March 31 2018. “The application has not been opposed by any parties to the matter, although certain respondents have requested that the Constitutional Court considers further orders, including the repayment of any profits derived by CPS under the SASSA contract and a moratorium on the roll-out of Net1’s EasyPay Everywhere product,” said Net1. Earlier in February at a briefing of the portfolio committee on trade and industry the Black Sash organisation raised issue with Net1’s EasyPay cards, which allow unlawful deductions by moneylenders from the accounts of social grant recipients. This contributes to the indebtedness of social grant recipients, highlighted Hoodah Abrahams-Fayker, national advocacy manager for Black Sash. Net1’s quarterly financial report for the three months ended December 31 reflected that profits took a knock given a challenging quarter. CEO Herman Kotzé said that during the quarter the group had embarked on a restructuring porcess, certain business lines were closed and the company had addressed “some of the challenges” in South Africa. Kotzé took over from Serge Belamant, who retired following the SASSA controversy.